Imagine your self floating in a gigantic bathtub full of herbs hugging your skin; its magical powers take away your tensions, worries and transform you to feel complete and new. A bath is calming way to relax in todays fast paced life. It is a soothing way to start a new day and blissful send-off to bed for a good nights sleep. Herbs and its essential oils soothe aching muscles, tense nerves, skin irritations, as well as softens skin and ensures a healthy complexion. Set the stage for your bath with a clean fresh bathroom. Keep clean towels, bath gels, herbs, loofah, etc handy. Choose relaxing music, light aromatic candles around you. All in all make sure that everything you need for your luxury is within arms reach. While filling the bathtub with warm water, create a bag of your favorite herbs to be used in bathing. It is ideal that you give your skin a quick loofah brush head to toe before you start. To create an herb bag, fill muslin cloth or even an old stocking with your favorite herbs. Bath salts, citrus leaves, dried rose petals, dried lavender flowers to name a few to create a good herb bag. Dip it in your bath, letting the herbs gently soak in the water. If you do not have the fondness of creating your own bag of herbs, you can definitely buy ready made herb bags. Black Pepper – relieves aching muscles. Clary Sage – as a perk me up and relieves premenstrual tension. Eucalyptus – for respiratory problems. Geranium – for very dry or itchy skin, eczema, and PMS. Jasmine – when you wish to feel luxurious. Lavender – dry skin, eczema, sprains, hot flashes, headaches, over work, insomnia. Orange – to pep you up. Rosemary – to get you going in the morning, a quick pick-me-up in the evening. Also good for aches and sore muscles. Lavender or roses – are good for dry, delicate or irritated skin, as well as relaxation. 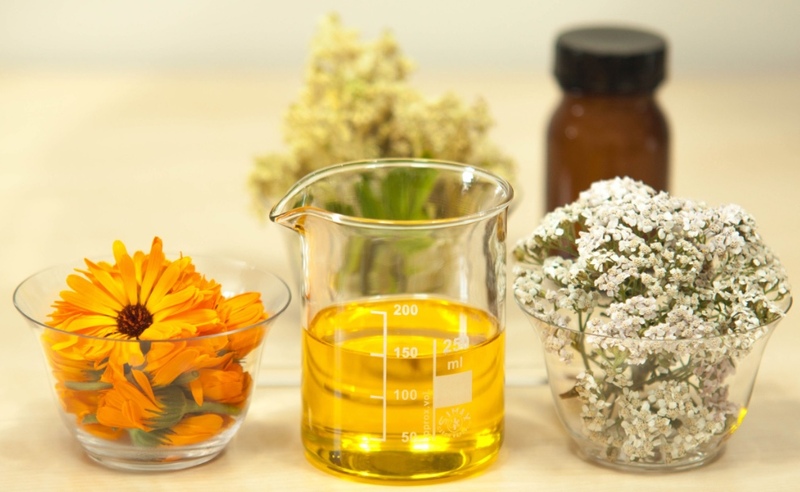 Rosemary, Calendula and Thyme – for oily skin. Lemon Balm – good for hyperactive children. Citrus & Lavender – soothing and therapeutic properties. Ylang Ylang – exfoliates and moisturizes the skin. Apricot and Amber – moisturises, restores softness and suppleness to skin. Chamomile – aids in relief of aching muscles and nervousness. Eucalyptus – opens the pores and the vapors from the bath help to clear the breathing passages. Make sure that your bath time is a time of solitude. Just let yourself luxuriate in the watery haven. And don’t forget to put a Do Not Disturb sign on the door :-). Happy bathing! Categories: Aromatherapy, Relaxation | Tags: Aromatherapy, bathing with essential oils, benefits of essential oil, essential oil remedies, essential oils, soothing bath | Permalink.